When a family calls us to say that they need a Heroin Intervention on their loved one, you can hear the pain in their voice. Although the substance itself isn’t usually the true problem in terms of recovery, it is important to understand that each substance abused does require a different approach in terms of the interventionist. A Heroin intervention is handled differently than an intervention on an alcoholic. Because heroin is a narcotic, interventions for heroin tend to be less chaotic than say an intervention on a meth user. Also because heroin is such a laboring addiction at the time of the heroin intervention most addicts tend to be more receptive. Heroin is probably one of the scariest words for families that call us asking about a heroin intervention. 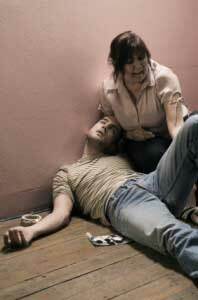 In some cases, the family has just found out that their loved one is abusing Heroin. When we first speak to a family and ask which drugs are being abused, their is usually a distinct pause before Mom utters the words. In other cases, we discover that the drugs abused are Heroin after we arrive. The family is under the impression that their loved one is abusing pain pills. But, unbeknownst to them, most abusers of opiates eventually becomes a heroin addict. Essentially, Heroin is an Opiate. The standard definition of an Opiate is “a medication or illegal drug that is either derived from the opium poppy or that mimics the effect of an Opiate (a synthetic Opiate). Opiate drugs are narcotic sedatives that depress activity of the central nervous system, reduce pain, and induce sleep. Side effects may include oversedation, nausea, and constipation. Long- term use of Opiates can produce addiction, and overuse can cause overdose and potentially death.”. During later stages of Opiate addiction, the narcotic effects can actually stimulate the addict, giving him energy and the ability to “face the day”. Over time prolonged Opiate abuse eventually becomes physically addictive and the body itself needs more and more of the drug or else develops severely uncomfortable symptoms. Standard withdrawal symptoms include sleeplessness, anxiety, restlessness, flu-like symptoms, nausea, muscle aches and pains and severe discomfort. This itself is the primary objection during a Heroin intervention…the terrible withdraw. The most commonly abused Opiates include Heroin, Methadone, Suboxone, Oxycontin (Oxycodone HCL), Vicodin (Hydrocodone), Morphine, Codeine, Fentanyl, and Opium. Abused for centuries, opium, laudenum and morphine addiction reached its height in the United States in the early 1900â€²s. As a response to the addiction problem, the Bayer Corporation created Heroin to help addicts withdraw off of Opiates. Later, during World War II, Methadone was created to combat morphine addiction. In the late 20th century, Suboxone was created to help addicts to withdraw off of Methadone and Heroin. It is important to understand that each of these substances are classed as Opiates and are addictive and mood altering. Many people make the mistake of substituting Methadone for Heroin and end up addicted to the Methadone. The most common cycle of addiction involving Heroin is a user who begins using intermittently, then over time becomes physically addicted and begins using daily. Afterwards, there is an 60% likelihood of becoming an IV drug user within 3 years. Generally, there are two classifications of people needing a Heroin intervention, both of which need to be handled differently from an intervention standpoint. It is important to understand that statistically, less than 1% of Heroin addicts quit using without the aid of some form of intervention or treatment. It is also important to understand that, statistically speaking, Heroin and Opiate addicts are usually the easiest to conduct a successful intervention on since each day of their life is a trap they wish to escape from. Essentially there are two primary types of Heroin Intervention performed by us at Intervention Services USA Both of which will eventually develop into the third type, or “daily user”, if an intervention isn’t performed early enough. Each Heroin intervention is unique, but we have provided some information on each type of user to help you understand more fully the potential obstacles. The least common type of Heroin intervention that we perform is that on a “recreational heroin user. The recreational user is someone who began using drugs recreationally, experimented with Heroin and eventually became physically addicted. Generally speaking, most experimental Heroin users become physically addicted within a year and they become daily users. After becoming physically addicted, the recreational Heroin user becomes more and more obsessed with getting his drug. Trying to avoid the uncomfortable withdrawal and seeking another feeling of euphoria he becomes trapped in a never-ending cycle. Intervening on a recreational Heroin user is usually easier than on a “pain management Heroin user” because he has no legitimate reason for taking the drug. There is generally no “bad time” for conducting a Heroin intervention on a recreational user and any day statistically has a high degree of success. The only exception to this is if the addict has a large sum of money coming in and will generally try to refuse treatment until afterward. Statistically, we perform more Heroin interventions on the recreational user AFTER he becomes the “daily user”. The second type of Heroin intervention addict is someone who, after developing some form of painful ailment (surgery, pulled muscles, joint aches, automobile accidents, etc) is prescribed an Opiate to manage the pain. Since the body has a tendency to increase it’s tolerance to Opiates, over time he gets less of an effect from the same dosage. To counter, he increases his dosage, possibly even switching to a more potent Opiate to handle the pain. Unfortunately, since the withdrawal from Opiates includes severe pain, his original pain increases exponentially and psychologically he believes his pain to be somatic (existing in the body). As a result, he continues using the Opiates to “handle the pain” which may actually no longer have a basis in fact. He is now trapped, avoiding the painful withdrawal and searching for the euphoric feeling that another pill can give him. Eventually, he discovers that Heroin gives him more of an effect than the pills he is prescribed. Performing a Heroin intervention on a pain management user is more difficult than on a recreational user because he has a “legitimate reason” for using, and will be happy to show you a long list of doctors and prescriptions to validate this. Statistically, a pain management Opioid addict has a higher degree of stability, although still an addict. However, a pain management Opioid addict also has a greater degree of denial systems and rarely admits to being addicted. He is simply “taking his medication”. The difficulty really increases when he has a truly legitimate ongoing pain. Sometimes it is almost impossible to determine if it is truly a legitimate pain related issue or has become a psychosomatic symptom of his addiction. An experienced intervention specialist is equipped to handle this during any Heroin intervention and can usually manage any objections to treatment voiced by the addict. A Heroin intervention on a pain management user is generally more difficult than that performed on a recreational user. Generally speaking, both the Recreational and the Pain Management Opiate user will eventually become a daily Heroin user. The life of a daily Heroin user is to wake up, begin feeling the first stages of withdrawal (nausea, agitation, restlessness). Begin searching for ways and means to acquire more of the drug. Use the drug and face the day. And an endless cycle. It is important to know, however, that depending on how late the user begins using Heroin dictates how well he can manage the daily stage of his addiction. For example, a 40-year-old successful businessman who eventually becomes a daily user may have the employment skills, financial standing, and enough work ethic in a place where he may be able to “successfully” use Heroin for years on a daily basis without losing everything. He may not have to resort to stealing to support his habit. A recreational addict who begins using drugs early enough in life and hasn’t developed any true life skills may never be able to attain any degree of stability and will constantly be “living back at mom’s house”, unable to hold a job for long, stealing to support his habit. Essentially, different types of addicts require a different approach during a Heroin intervention. Each Heroin intervention is unique and after proper analysis and guidance, your intervention specialist will help you to determine when and what is the best approach.